With two generations of Bartlett’s engaged in the bulk movement of aggregate our wealth of knowledge and understanding in this sector is unrivaled. From 35 to 70 cubic yard tipping trailers, equipped with rollover sheets we can move your bulk product confidently and safely in the UK and across Europe on time, every time. 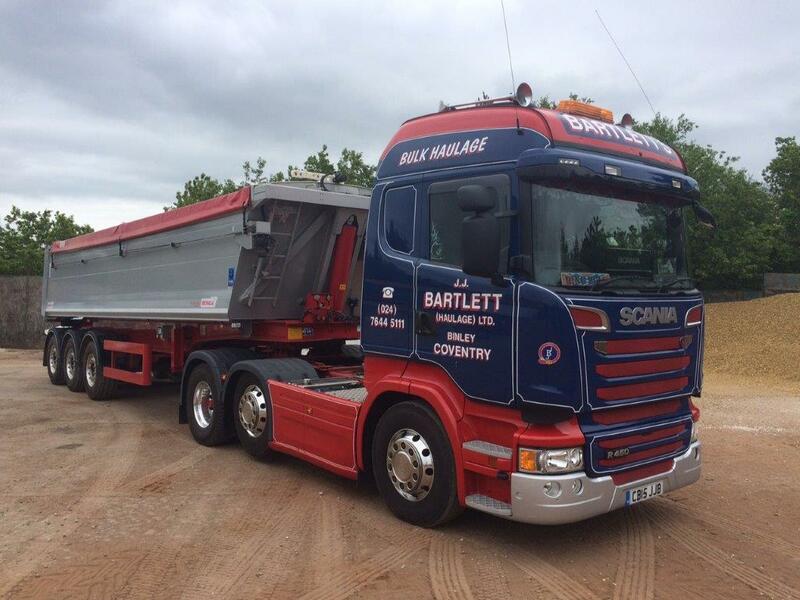 All our tipper trailers are equipped with on board weighers and reversing cameras / alarms. All our tipper drivers have the MPQC skills EPIC qualification for tipper drivers. 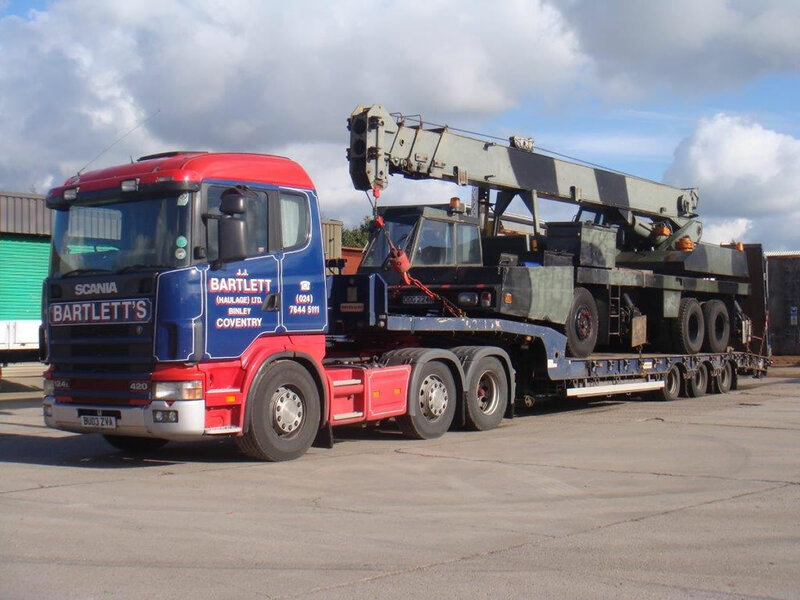 We operate tautliners, box vans, flats and low height plant trailers many equipped with Moffett demountable forklifts enabling them to load/unload without the need of an onsite forklift. 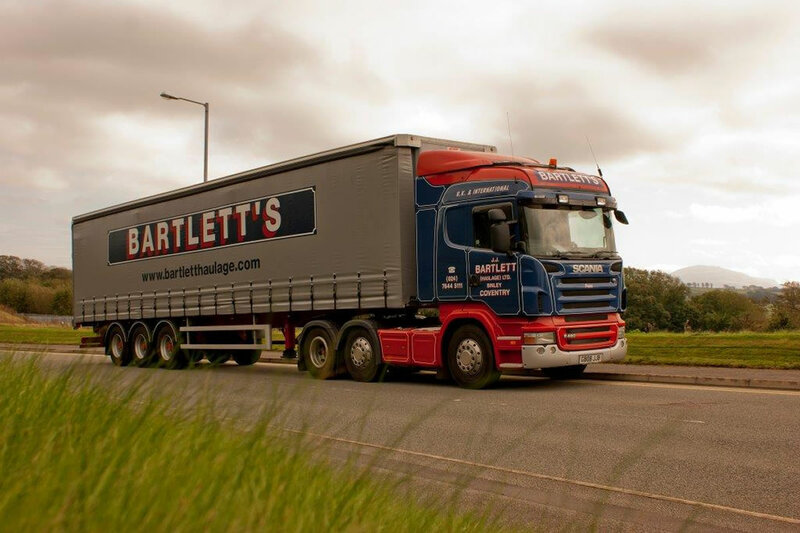 Bartlett Haulage has a fleet of low-loader, semi low-loader and extending flatbed trailers that provides a wide range of transportation solutions.